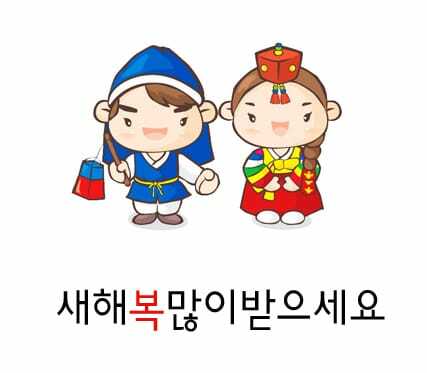 Gather your family and come celebrate 설날 (Seollel), the Korean New Year, with AK Connection. Enjoy Korean food, activities, and company. We hope to see you there. This event is a kick off to our 2017 Membership Drive. You can become a supporting member for only $35 AND receive a FREE T-SHIRT. You do not have to be a "supporting member" to still participate in AK Connection events. General members are all welcome to every event and being a general member is free. ​Light appetizers provided by AK Connection, but you better get there before they run out because the Rabbit Hole food is delish! This event is a kick off to our 2017 Membership Drive. AK Connection is a small, non-profit organization here to serve you by providing informational, educational, and social events to build a supportive community for Korean Adoptees. You can become a supporting member for only $30 AND receive a FREE T-SHIRT. 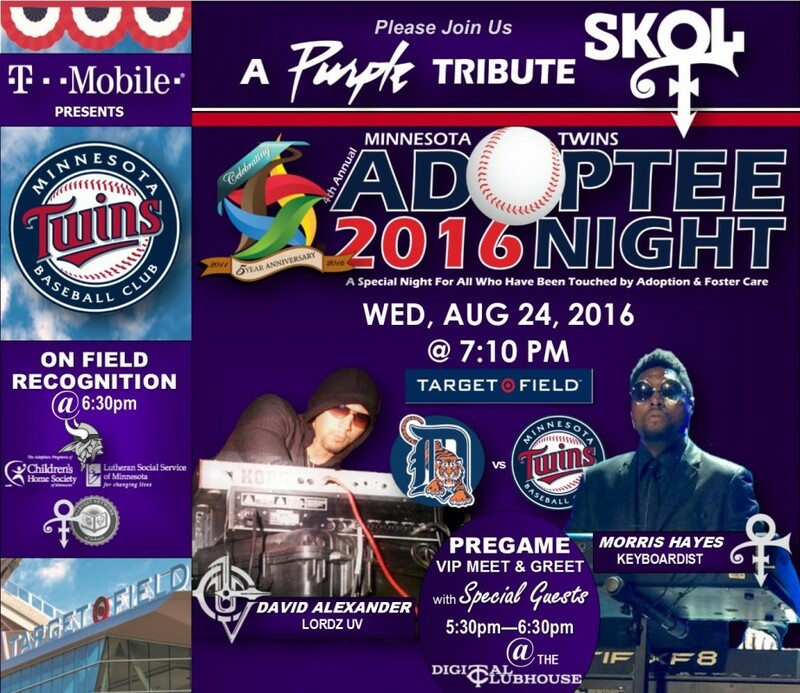 Supporting members will also have the privilege of a FREE, summer kick-off celebration in downtown Minneapolis. General membership is free and general members are welcome to every event. Supporting members receive discounted/free events and other perks throughout 2017. Keep checking our FB or Instagram for details. Looking forward to seeing everyone for amazing Korean food and great company! As always, thank you for your continued support for AK Connection. ​Black day is an unofficial holiday observed on April 14 each year and is associated with Valentine's Day and White Day. On this day, people who did not receive gifts on the previous two days gather and eat jajangmyeon. It is mostly observed by singles, but you do not need to be single to come out and enjoy some delicious jajangmyeon with your fellow KADs. AK Connection will provide light appetizers, regular jajangmyeon is $8.50 and seafood jajangmyeon is $10. Please be sure to RSVP for this event on FB so we know how many seats to reserve. Thank you! 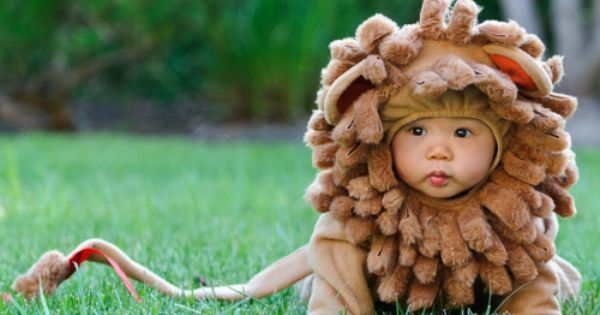 ​Saturday, May 20th from 12:30-3:30 at Logan Park in Minneapolis. All are welcome, parents or not, to come celebrate this fun, family-friendly holiday with the AK Connection! Make your own Samgak-kimbap 삼각김밥 (triangle kimbap), enjoy cotton candy, participate in coloring activities, and play out on the playground or onside the rec center. Also, feel free to pack your own picnic lunch and enjoy a park-view meal! 여름 파디! Summer Kick Off Party! Come toast to the summer and dance the night away with fellow AK members. Supporting Donors - we will have a hosted gathering beforehand at 7:30 with appetizers and a champagne toast. If you aren't a supporting donor, now is the perfect time. Click here to learn how to become a Supporting Donor. 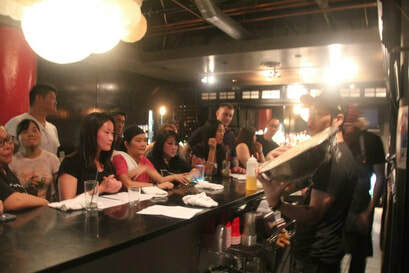 Everyone's favorite, an intimate hands on learning experience with The Rabbit Hole chefs. 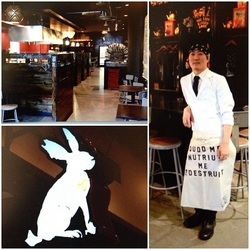 AK Connection and The Rabbit Hole are teaming up to offer members an exclusive cooking class with chef Thomas Kim. Space is limited to the first 25 people who register. A reservation is required and non-refundable. Bring the whole family to this amazing park for a mini-meet up. Movies start 15 minutes after sunset. Bring a lawn chair or blanket and come early to grab a good spot. Saturday, August 26th, 2017 11:00-2:00. This year join us on Boom Island, in downtown Minneapolis, for our Summer Picnic BBQ. AK Connection will be hosting some delicious Korean BBQ items, but please feel free to bring food to share. 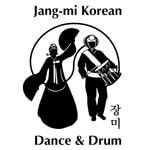 ​Join the AK Connection family and celebrate Chuseok with traditional Korean songpyeon, rice cakes and enjoy a traditional Korean drumming performance by Jang-Mi. We hope to see you and your whole family to celebrate the Mid-Autumn Festival. 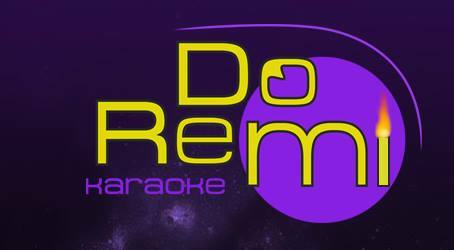 Come join us for singing and fun! AK Connection will provide light appetizers. Many of us will be meeting at Hoban (next door) at 5:30 PM for dinner beforehand. Feel free to join us! What image do you see? Which Korea are you from? Are you a good Korean or a bad Korean? Join Network of Politicized Adoptees (NPA) and AK Connection on Nov 27 (Monday) for an opportunity to come together to process what it means to be Korean adoptees during this time of heightened negative media and violence toward the Korean peninsula. This event will be a space to learn more about our history and have an open discussion on how that context impacts us today. Sharon Chung will provide background on the Korean war and how that ties into the anti-Korean rhetoric that we are experiencing today. A panel, moderated by Dr. Jennifer Kwon Dobbs, will highlight Korean adoptee perspectives in this broader conversation. We will wrap up with small group discussions that will offer time for connection and reflection. We feel that this is an especially timely conversation to have with our friends, family, and the larger adoption community, and we hope that this conversation will provide new information, vocabulary, and insights to be able to process and talk about the current situation on the Korean peninsula. Sharon Chung recently moved to Minnesota from New York. She is part of the Korean Education Exposure Program (KEEP) Planning Team (KPT) and was actively involved & in leadership with Nodutdol for Korean Community Development, and is now a supporting member of Nodutdol. Join AK Connection at MacPhail for a free performance demonstration on the gayageum. Soo Jin is a new instructor at MacPhail and will be offering lessons (group and individual) on Saturdays. Don't miss out on a great party to finish out 2017! Join the Korean American Women's Association of Minnesota and AK Connection as we celebrate 2017 with dinner, dancing and a fashion show. AK's gather your family and come celebrate 설날 (Seollel), the Korean New Year, with AK Connection. We will be having 떡국(Tteokguk) rice cake soup made by the amazing women of KAWA. Bring your ice skates or rent them to enjoy ice skating outside. 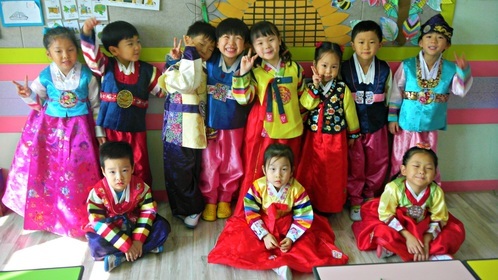 We will also have a photo booth to take pictures in traditional Korean hanboks. We hope to see you there. Let's go to The Rabbit Hole! ​Light appetizers provided by AK Connection. This event is a kick off to our 2018 Membership Drive. AK Connection is a small, non-profit organization here to serve you by providing informational, educational, and social events to build a supportive community for Korean Adoptees. You do not have to be a donor to participate in AK Connection events. All are welcome. Join us as we screen "Where are you going Thomas?" A documentary thatt chronicles the story of Thomas Park Clement, an abandoned bi-racial Korean War orphan, who was adopted by a white American family in 1958. He overcame many obstacles to become a successful entrepreneur and a humanitarian. After, we will listen to a reading by Kate Anne Kang from her book Given Away followed by a Q & A. Kate is a Minnesota-based writer. Our attempt to have fun with Black Day got whited out by another infamous snow storm. We are pushing back this event to Monday, April 16 @ 6:30 PM. We know that a number of you would have weathered the storm. However, we don't want anyone out there to get into an accident or go in the ditch. No amount of jjajangmyeon will fix that up. We want everyone to be safe! Have some black coffee or hot chocolate and stay warm. 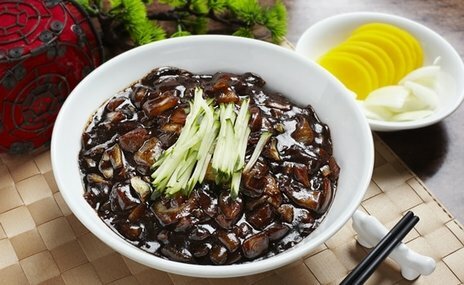 ​About Black Day (Korean: 블랙데이): It is an unofficial holiday in South Korea where singles eat jjajangmyeon. ​Single or not.... who doesn’t love some jjajangmyeon? Lucky China is gracious to host us again. Please be sure to RSVP for this event on FB so we know how many seats we need to reserve. With our need to post pone due to the unexpected April snow storm, we realize there may be changes with the RSVP list, so be sure to update your RSVP if necessary. Thank you! Please join non-profit AK Connection for an exclusive one night only screening of Yellow Fever, a story of a Korean Adoptee trying to find her place in the world. Ak Connection is a volunteer run non-profit that supports adult adopted Koreans and their family in Minnesota. We strive to bring you cultural and social programs in a safe and supportive environment. In order to make this screening happen we need to sell a minimum of ​91 tickets by April 18th. We encourage you to invite all of your family and friends to join us for this one night only event. Asia Bradford (GLEE’s Jenna Ushkowitz) was adopted from Korea by white people, so she doesn’t speak Korean. She apparently doesn’t speak New York either, because everyone seems to think she’s from somewhere else. “Stop asking me where I'm from! I get it .. I’m Yellow!” she angrily writes on her blog. It’s bad enough that everyone in New York seems to think she’s not American, but to top it all off, her “culturally sensitive,” whitebread parents decided to dress up in Korean hanboks for the annual Christmas card this year! So, where does she actually fit in if she feels like she doesn’t belong in her family, New York or her so-called “motherland?” Her salvation comes in an odd package - an "old ugly white dude," played by GILMORE GIRLS’ Scott Patterson, who's just moved back to New York after living in Korea for over a decade. Be sure to go to Facebook and RSVP! If you don't have Facebook, just email us! In 2015, journalist Kaomi Goetz started to explore her own identity as a Korean adoptee. The next year, she embarked on an 11-month journey back to her native country as a Fulbright senior scholar. Her research explored the experiences of Korean adoptees who return to live and reflect on their adoptions and their relationship with Korea – as it was, and is today. She interviewed 20 Korean adoptees as part of podcast series, each with their own unique story. The stories are tragic, heartfelt, humorous and challenging. Many involve reunions with biological family; some meetings provide closure, while others expose wounds and leave more questions than answers. Join us for a podcast listening session of Adapted with the journalist herself, Kaomi Goetz. She’ll share a few excerpts from the podcast, as well as talk about her own experience as an adoptee returnee. There is limited seating availability, so please RSVP. If you’ve gone back to Korea to live or have ever been curious about it, come check it out! AK Connection Mini Meet Up! 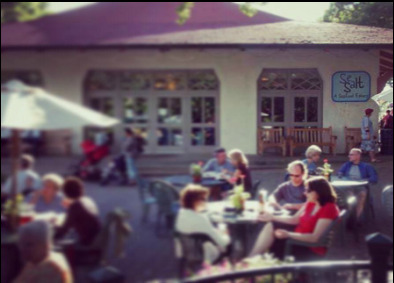 Come on over to Sea Salt - right by Minnehaha Falls and join us at 4:30pm. The choice to try to locate birth family in Korea is a personal process for every adoptee that results in varying emotional outcomes. We understand that this event covers a sensitive topic, but AK Connection wants to provide a space for KADs and their families to explore and discuss all of the complexities of the Korean adoptee experience. Hear from adoptees who have completed birth family searches and experienced reunions with their families in Korea. The panelists will share about the choice to open their adoption files, the search process, various agencies involved, and their experiences of reunion with birth families. Come with questions or just to listen—all are welcome! When: 6:30pm - 8:00pm on Tuesday, July 31, 2018. 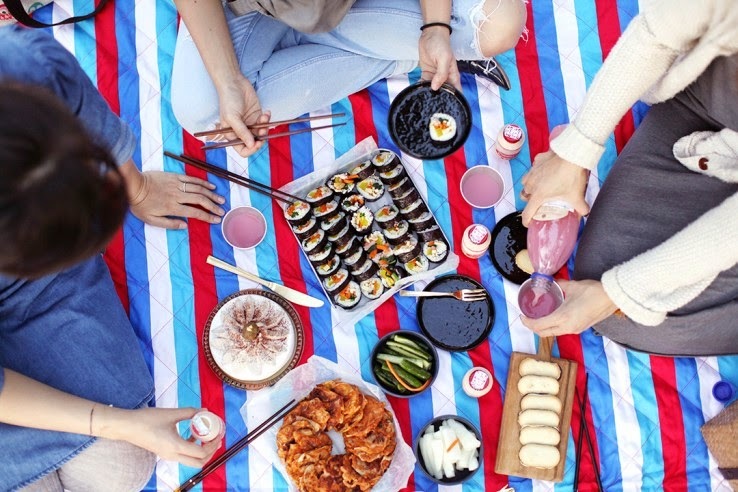 We will be providing bulgogi and kimbap, but please bring other tasty picnic food to share. Chuseok is a major Korean holiday where most of the country closes up business and encourages families to meet and celebrate. It is considered "autumn eve" and celebrates the fall harvest and autumn equinox. We will be meeting up at Kenwood Park in Minneapolis (2101 W Franklin Ave, Minneapolis, MN 55405) from 12:30-3:30pm. 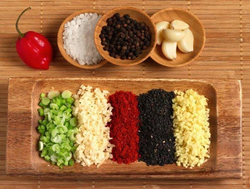 Our plan is to have all the ingredients needed to make your own bibimbap. RSVP on Facebook or by email! Come dress to impress and enjoy some yummy appetizers provided by AK Connection, and then dance the night away to the spinnings by DJ Nak providing old to the new hip hop. Find us in the back in the green room. More info on Ginger Hop here. Saturday, September 17th from 12:3--3:30. 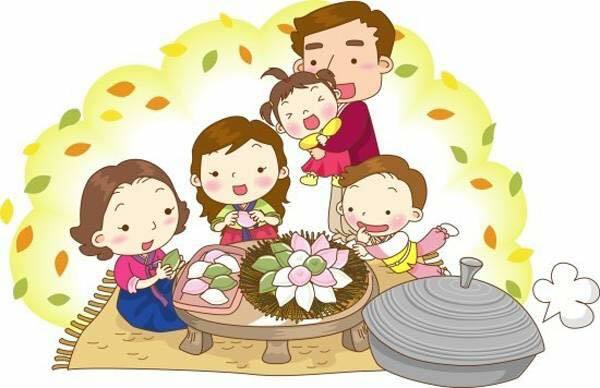 Chuseok, also known as Korean Thanksgiving Day, is one of the most important holidays of the year to celebrate with family and give gifts. Join the AK Connection family and celebrate Chuseok with traditional Korean songpyeon, and as tradition goes, feel free to bring something to share. We hope to see you and your whole family to celebratie the Mid-Autumn Festival. 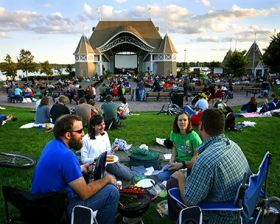 AK Connection will be hosting a Summer Picnic at Logan Park and wants to invite you and your family. Logan Park offers a playground and a wading pool for the kids or kids at heart. We will be providing delicious Korean food but feel free to bring any treats you may want to share. Supporting members of AK Connection have the opportunity to purchase tickets at the special rate of $15. We are limited to only 20 tickets at this special price and limit is 2 tickets per household please. Wednesday, August 24th at 7:10 pm. 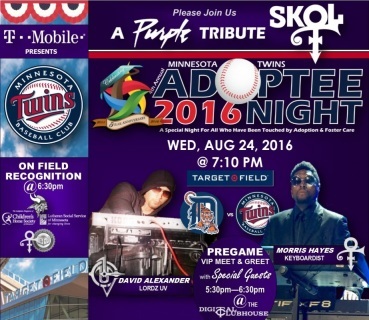 Mixed Roots Foundation teams up with T-Mobile for a Purple Tribute at the MN Twins 4th Annual 'Adoptee Night'. In support of the AK community, AK Connection has become a Community Partner for the event, and in return we will be providing Supporting Members a discount on tickets. The IKAA Gathering 2016 will take place in Seoul, Korea on August 2 – 7, 2016 and will promote the connection of adult Korean adoptees to each other and their Korean heritage, as well as welcome future generations of adoptees into the adoptee community. This is the largest conference of its kind, occurring only once every three years, with attendees from all across the United States, Europe, and Asia. Attendance in 2016 is expected to reach over 500 participants. The workshops and sessions at the IKAA Gatherings provide a time for participants to explore more specific topics related to adoption, the adoptee experience, or the themes of the Gatherings. Past sessions and topics have included birth family search, birth family reunion experiences, building relationships with birth family members post-reunion, Korea from a historical perspective, developments in domestic Korean adoption, working and living in Korea, Korean adoptees’ relationships with adoptive family, parenthood, exploring identity through art, and much more. The age breakout session, one of the most popular, is a session where attendees are split into groups according to their age. Adoptees have an opportunity to meet and talk about personal experiences with others of a similar age, regardless of their adoptive country. The theme of the IKAA Gathering 2016 is Connecting Communities & Looking Towards the Future. As the adoptee community continues to grow by adding new generations, both through their own children and families, as well as new and future leaders, it is important for adoptees to stay connected. Building a strong community leads to a brighter future with more resources and services for all adoptees and their families. Bring your friends and family for this mini meet-up. There is a park for kids to play at and Sea Salt serves food and drink. We will have shirts available if you need to pick yours up, or if you are interested in becoming a supporting member and getting one for FREE! Don't worry if you aren't a supporting member! All members (everyone) is welcome to join us for some rooftop cocktails and dancing at 9:00 pm. Aegi Connection's first event will be at Como Zoo on July 17th. Bring your family to Como Zoo to enjoy a fun time with other KAD famlies. 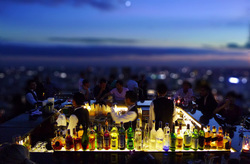 Celebrate the start of summer with AK connection on the beautiful rooftop of Seven Sushi Ultra Lounge. ​Supporting Donors are invited to come enjoy complimentary sushi and apps starting at 7:00 pm. ​If you haven't become a supporting member yet, now is the perfect time to sign up!!! What's the difference between a "Supporting Member" and a "General Member"? Based on feedback from YOU, we have ELIMINATED MEMBERSHIP DUES. 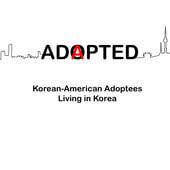 Therefore, all Korean adoptees are considered members. We've introduced more flexible ways to support AK Connection as either a yearly supporting donor ($30/year) or a monthly sustaining donor (starting at $5/month). Sunday, June 5th at noon. Space is limited to the first 20 people who register. 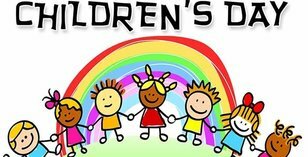 Join us on May 7th at Logan park from 12:30-3:30 to celebrate Children's Day. We will be learning how to make 삼각김밥 (samgak-gimbap), triangle shaped kimbop, while enjoying sweet treats. ​2016 has arrived~ Let's get-together at the Rabbit Hole! Let's go to Sole Cafe!!! Day two of our membership drive. Day Two will be held at Sole Cafe in St. Paul. Light appetizers provided by AK Connection. A supporting membership is only $30 AND you get the awesome t-shirt designed by AK for free. Supporting members will also have the privilege of a FREE, summer kick-off celebration downtown Minneapolis in June. Remember, you do not have to be a "supporting member" to still participate in AK Connection events. Black day is an unofficial holiday observed on April 14 each year and is associated with Valentine's Day and White Day. On this day, people who did not receive gifts on the previous two days gather and eat jajangmyeon. It is mostly observed by singles, but you do not need to be single to come out and enjoy some delicious jajangmyeon with your fellow KADs. 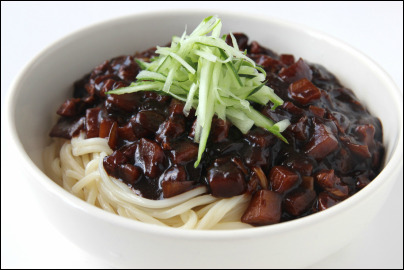 Join us on Saturday, April 16th at 7:00 pm for jajangmyeon and fun at Lucky China. Thomas will demonstrate ways to incorporate Korean ingredients into your everyday cooking and whip up some delicious food for us to enjoy! Time: 6:30pm sharp. Please plan on arriving early to allow time for parking & locating our event. The class size is limited to the first 30 people to RSVP to akconnection.mn@gmail.com. Included in the cost of the class will be your choice of one glass of wine or a glass of Fulton Brewery beer and of course the food that is prepared during class! When reserving your spot, please let us know how many will be attending. At this event, there will be an opportunity to purchase your membership card if you want to take advantage of the discount and support AK Connection by becoming a paying member. Please bring your membership card or purchase it at the event to get the discounted fee. We look forward to seeing you at this fun event in March! Please help support the Third International Symposium on Korean Adoption Studies at the 2013 IKAA Gathering! This fundraising event is hosted by AK Connection. This event will include research presentations by local adoption scholars, plus a special appearance by Korean adoptee filmmaker, Deann Borshay Liem. ​Please donate to our nonprofit organization. ​We are led by volunteer board members and serve all adult Korean adoptees, their friends and families in Minnesota!